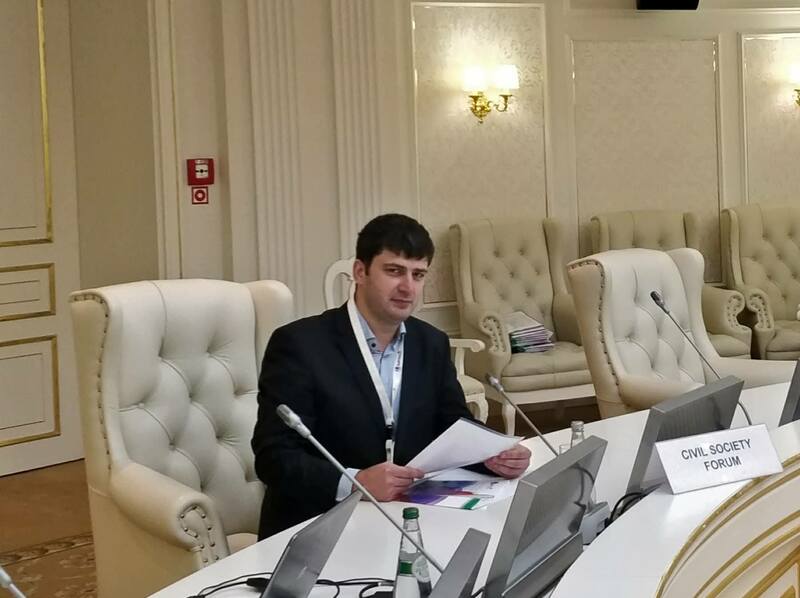 On 21 June 2018, the Eastern Partnership Civil Society Forum (EaP CSF) shared the civil society views on harmonisation of digital markets at the 10th Informal Partnership Dialogue held in Minsk, Belarus. The Forum was represented by Mikalai Kvantaliani, EaP CSF Steering Committee (SC) member and Country Facilitator for Belarus. In his speech, Mr Kvantaliani elaborated on the digitalisation of the economy, which is one of the most important drivers behind the profound transformation of the labour market and modern workplace. It will likely become even more significant in the years to come since the digital revolution is unfolding at a higher speed than earlier industrial revolutions. The Panel on Harmonisation of Digital Markets (HDM) within the Platform 2 “Economic Integration and Convergence with the EU Policies” is one of the most active under the renewed EaP architecture. Frequent meetings organised under the EU4Digital initiative are a great testament to the importance that both the EU and EaP are giving to this issue. The Civil Society Forum is taking part in the workshops organised under this initiative and is ready to continue contributing to this process in a meaningful way. 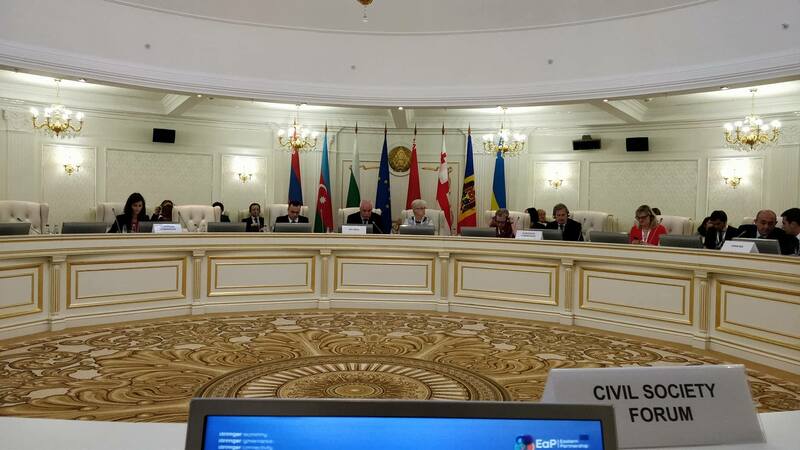 The SC member called for further involvement of the civil society into the implementation of the deliverables in the field of HDM, as they provide a citizens’ perspective in this highly technical field, and the citizens of the EaP countries are the final beneficiaries of this initiative. Our members have already contributed to the draft Work Programme of Platform 2. Many of our recommendations have been included in the final version of the document, which we take as a positive sign that the civil society is on the same page with the EU institutions. Platform 2 should also provide guidance on the creation of digital infrastructure building blocks in the EaP countries to ensure the three main instruments in addressing the elimination of existing obstacles and barriers to pan-European online services, cross-border e-Signatures, e-trade and digital corridor services. Mr Kvantaliani stressed that the EaP CSF is ready to be a catalyst in setting up an e-Competence Framework in the EaP partner countries, as an initiator and steward of national digital skills & jobs coalition in the EaP countries based on the EU’s digital skills & jobs coalition model. On 8-9 November, the EaP CSF is organising the EaP Youth Conference “Youth for Entrepreneurship” in Vienna focusing on entrepreneurial skills, including digital skills, as a key competence. Digital economy cannot be a success without a sustained effort in raising the level of knowledge and skills of citizens. To fully benefit from its potential both in terms of strengthening their economies as well as in terms of improving social situation of its citizens, it is necessary to develop programmes to foster digital literacy, encouraging citizens to broaden their skills on par with the demand of the labour market.